Dear Omo Moms in the house, if your kids school couldn't participate in the #OmoImagineandAchieve art competition, here's an opportunity to unleash their creativity. 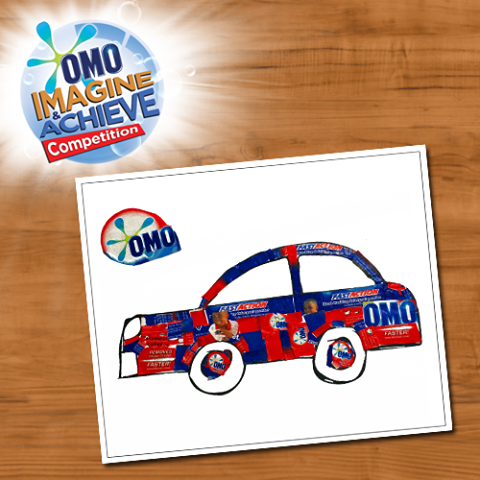 A) Get your kids to draw and design any of our themes using Omo Fast Action wrappers. 5 Entries will be selected and put up for voting every Friday for 4 weeks. 3 entries with the highest vote will be announced the following Monday. Remember terms & conditions apply!